If summer were a glass of wine, it would definitely be a Rosé. As the weather and the BBQs heat up– we know Rosé is your go-to. We are so excited to share with you a selection of the many different styles and colors of Rosé. At this wine class, we will be pouring six delicious Rosés from around the world. 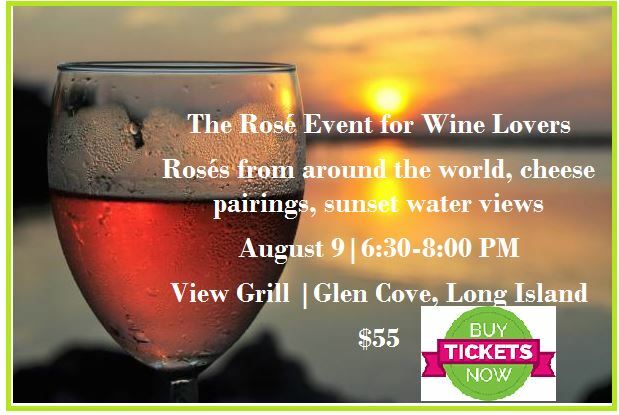 You will learn about the history of Rosé, the methods of producing Rosé, as well as how to pair Rosé with food. The class will include some classic Rosés from traditional regions, as well as a few surprises and some cheese pairings too! This event is designed to appeal to all wine lovers – from the adventurous newcomer to the dedicated oenophile. The evening offers ample time to enjoy the beautiful View Grill located in Glen Cove on the Long Island Sound and an opportunity to continue your evening with a nice dinner at one of the North Shore’s favorite spots. James Russo is our wine director for the event and is a 20+ year accomplished veteran of the Wine industry. He has worked for and represented such amazing wine companies as Francis Ford Coppola Winery/Rubicon Estate, Robert Mondavi Winery, Frescobaldi, Ornellaia, Sonoma Cutrer and Banfi Estates. To name just a very few. James goes by the title “Wine Escoffier”. Combining his love of wine and food to bring out the best in in all components. He has guest lectured and trained countless service staff on his wineries. With a 4.7 of 5 star rating on Facebook, The View Grill is one of the North Shore’s most loved restaurants. 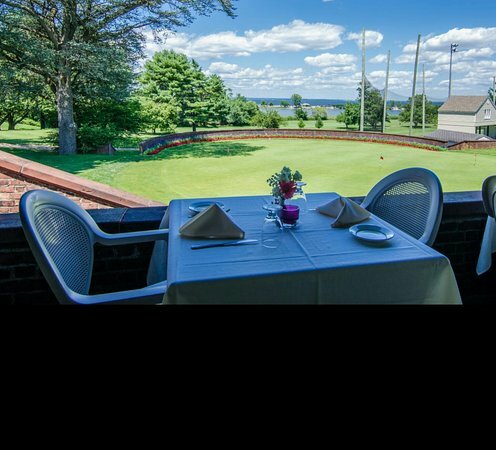 Serving classical American fare such as burgers, steaks and seafood it is located on a golf course overlooking the Long Island Sound. Head chef and co-owner Jeanine DiMeanna has earned the respect and admiration of the local community. We encourage you to stay after the wine event and grab a bite. Reservations can be made by calling 516-200-9603. Please note, this is not included in the price of the wine event.